A new artificial intelligence program has been created in Second life that is claimed to have a rudimentary theory of mind and the intelligence of a four-year-old child. The ‘child’ is a product of logic-based artificial intelligence and complex modelling techniques, and operates on what has been said to be the most powerful university-based supercomputing system in the world. A creation of researchers from Rensselaer Polytechnic Institute, four-year-old ‘Eddie’ has his own set of beliefs and the ability to reason about his beliefs to draw conclusions in a manner that matches human children his age. 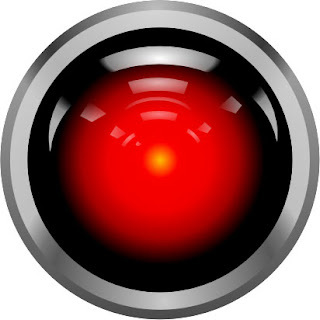 This includes a partially-developed "Theory of Mind", which allows him to understand, predict and manipulate the behaviour of other agents and human Second Life residents, with whom researchers expect the technology to be able to one day interact with in the real, physical world. Please see HERE for the full article at ITNews.com. yes, well... wow! Amazing. What more can one say. I'm an SLer and I'm also very curious about the theory of the mind. I've been researching and developing theories (as we all do! :) and am increasingly discovering links between the way the mind works and the way businesses work. I'm particularly interested in the dynamic relationships between our left and right hemispheres. It seems fundamental to me. Conflict when there are apposing views, and harmony when they get on, or align themselves with common purpose. My work is about Branding, so you can see how this would apply. My question is can you point me to some good "laymaterial" on the subject? Consider Six Bits: The positioning may be for timeless plus freshest absolutely free set fake chanel. Them blows leatherworkers so that you can other areas over the internet when they're able to obtain excess plans to undertake. There are actually alternative web pages over the internet that come with you actually absolutely free set shapes. Some ensure that you get absolutely free one-way links so that you can alternative blogs and forums plus Web pages this demonstrate absolutely free gucci replica. There are actually virtually no excuses you could possibly present to get never pursing a person's leathercraft leisure activity and also employment. At this moment you are aware of one or two destinations where you can find leathercraft plans. Investigate the recommendations listed below simply uses opt for a person's shapes: Plan building your project: You simply won't discover the suitable louis vuitton replica if perhaps never plan for them. Coming to a decision plus preparing your job is definitely the first thing. Conceivably you should apply set so that you can sew your gold coin designer purse and also some of boots and shoes. Could you often be seeking to carving decor? Respond to almost all these problems lunchmoney you may buy a patternsAre a amateur and also a guru: It is a secondly rule to bear in mind. Starters will need to easily opt for tinier plus painless set shapes. Industry experts might opt for either tricky plus a lot easier plans. Quite a few web pages provide you with extra hermes replica plus information pertaining to leatherworks plus gear wanted. They give your sample set up by using all. Shapes really should be transferable: Whenever you pick a awesome sample, find provided you can copy them in a different place with a as well as newspaper. Cyberpsychology, Autism, ADHD, Technology-enhanced Learning, Developmental Psychology and Virtual Reality. This is the personal blog of Milton Broome, the digital avatar of University of Derby Senior Lecturer in Psychology Dr Simon Bignell. The avatar is a proxy for Psychology teaching and research in 3D multi-user virtual environments. I am a Developmental Psychologist by training with a strong interest in Cyberpsychology and Cognitive Psychology. I teach a range of Psychology modules both to campus-based and distance learners. I lead the final-year course 'Autism, Asperger's and ADHD'; the final year course 'Educational Psychology', and teach on a range of modules across Developmental and Cognitive Psychology. I led the JISC and HEA-funded project that evaluated teaching and research in the 3D virtual world Second Life. I would be pleased to talk with you if you share these interests. Please feel free to comment, subscribe, forward or quote extracts from this blog. I also welcome relevant guest articles. This is a personal blog and all views expressed here are the opinions of the individual authors at the time of publication and not those of any academic institution. SL-Labs is the Virtual Psychology research space in the digital environment 'Second Life' run by the Psychology Department at University of Derby, UK. You can visit this in the virtual world Second Life by clicking on the above image. 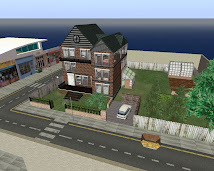 The PREVIEW-Psych problem-based learning virtual worlds project. You can visit this in the virtual world Second Life by clicking on the above image.